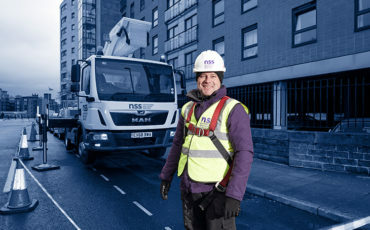 A year ago we acquired our AA Access division – and what a year it’s been! What an honour it was to be present as the Duke and Duchess of Sussex tied the knot in May. Thanks to our extensive fleet, Sky News viewers had the best seats in the house. 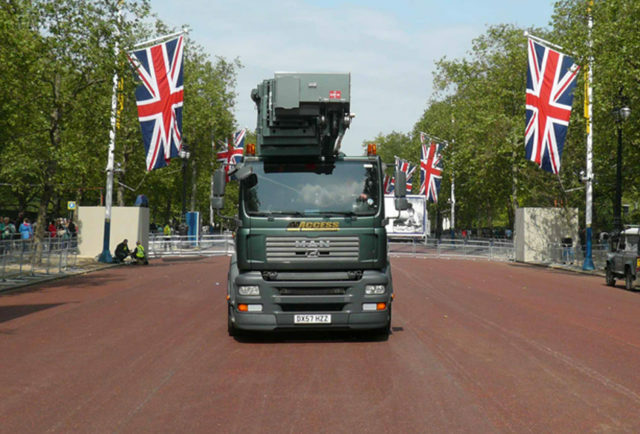 A great deal of preparation went into the planning of this national event, from the representation of the 53 commonwealth nations woven into the bride’s bridal train right through to the positioning of our brand new 47m Bronto Skylift! We were so excited to be involved in this event that we have renamed our machine Megan as a tribute. 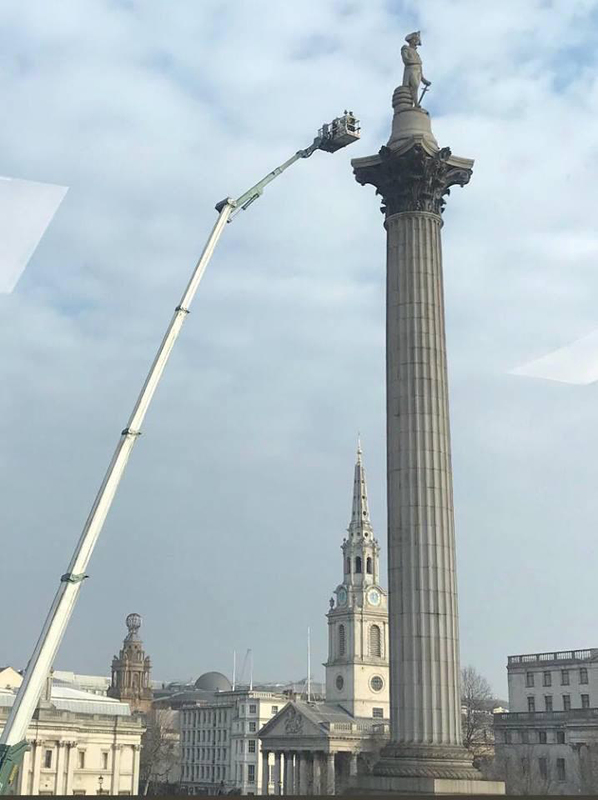 There are few attractions as iconic as Nelson’s Column in Trafalgar Square, so we were thrilled with this unique up close and personal view thanks to one of our 70m machines. We were asked to provide a 70m access platform to enable our client to carry out detailed checks to the structure. 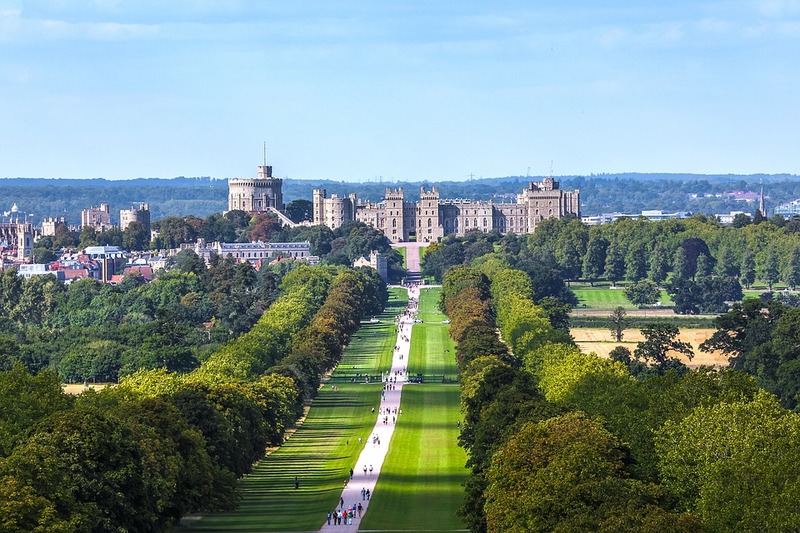 After it was refurbished in 2006, surveyors found the monument to be 14 ft 6 in (4.4 m) shorter than previously supposed. The whole monument is 169 ft 3 in (51.6 m) tall from the bottom of the pedestal to the top of Nelson’s hat. Our fleet were on hand to capture all the magic at the Dubai Open. 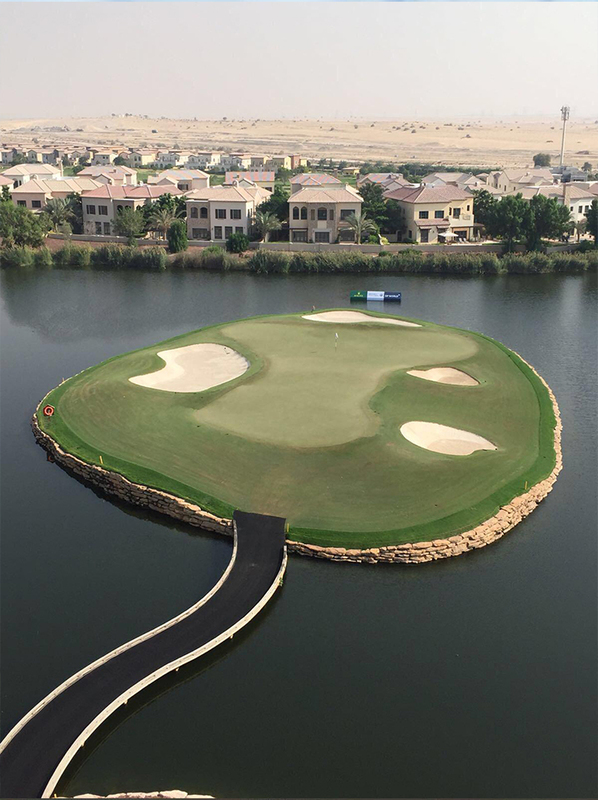 Our 70m platform was invited to the Omega Dubai Desert Classic in January to witness Haotong LI pip Rory McIlroy to first place in the prestigious event. It was a scorcher this year and, as 40,000 took on the challenge, we were there to capture every minute. One of our 70ms raced back from Centro nacional de golf, Madrid, Spain to be on hand in London for the record-breaking Virgin Money London Marathon. 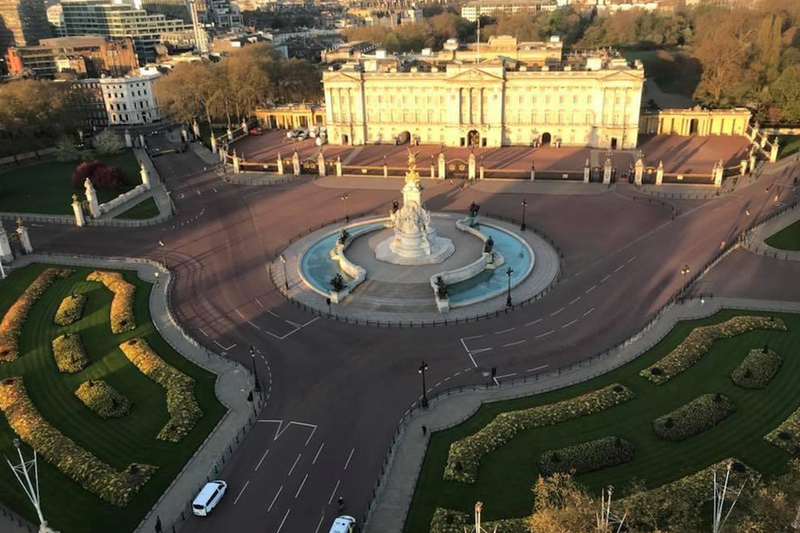 Positioned on the Mall, our operator Nick had a fantastic view into the windows of the Buckingham Palace. We were chuffed to be asked back to assist with the live broadcast of Wimbledon – and what a Wimbledon it was! 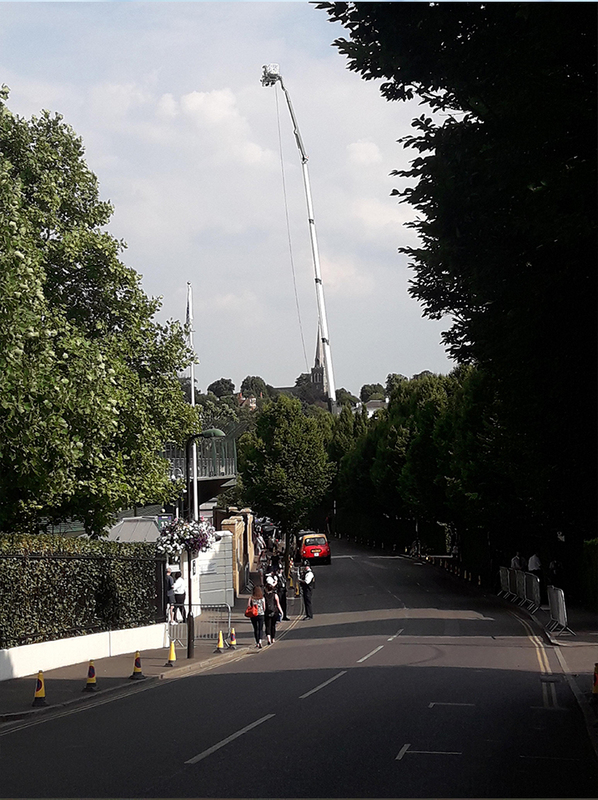 We let our operator Andrew loose in our brand new 70m for the event, he enjoyed the two weeks of hot weather, strawberries and a couple of non-alcoholic Pimm’s at the birthplace of tennis. 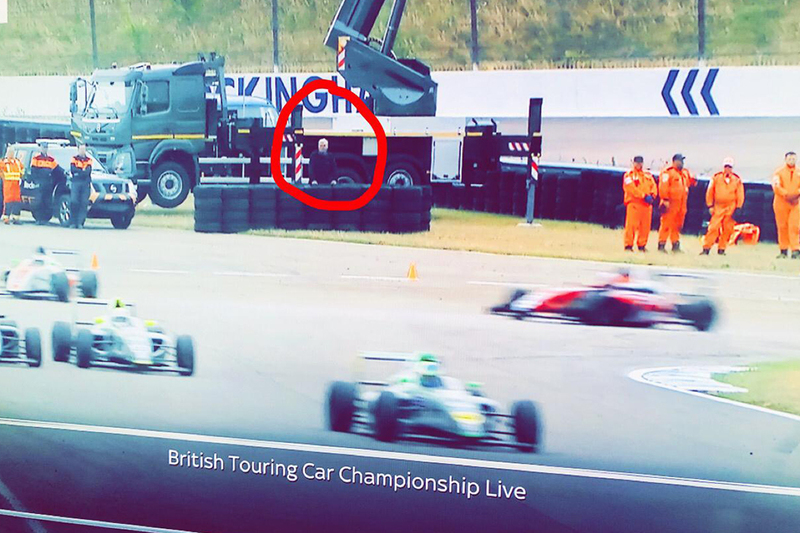 Our operator, Andrew, got a great view for this year’s British Touring Car Official Championship at Rockingham. Perks of the job! Life in the fast-lane, he enjoyed the best view of the tournament while operating our 52m. 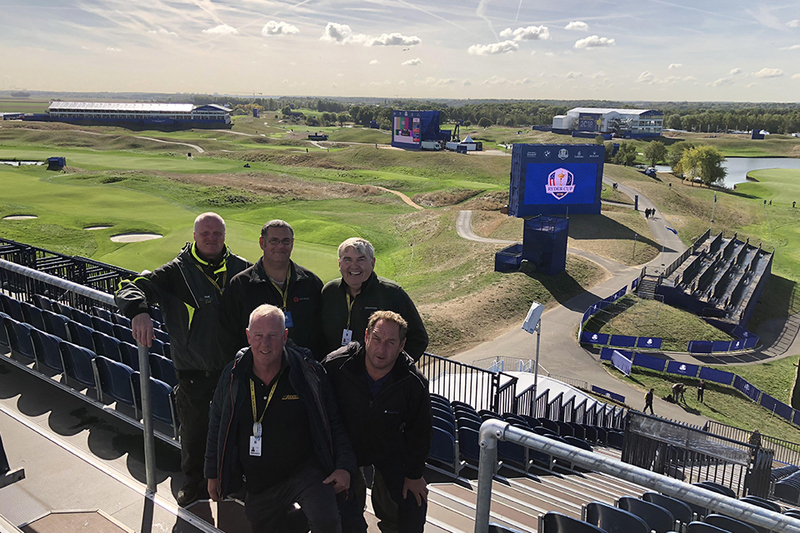 We popped across the pond to Paris to assist with the Ryder Cup – and what a way to round off a fantastic year! Seven of our machines sailed across the water the assist with this huge event, set in the beautiful grounds of Le Golf National. 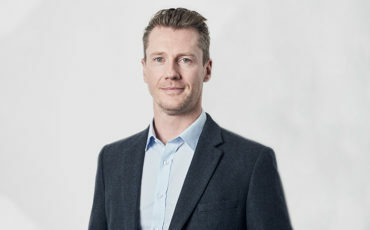 The operators were delighted to watch the tournament unfold and Europe take the title.